Xgboost statnds for eXtreme Gradient Boosting, It is an implementation of gradient boosted decision tree desigend for speed and performance. Let’s break it down further, and understand it one by one. “The term Boosting refers to a family of algorithms which converts weak learner to strong learners”. Boosting combines weak learner a.k.a. base learner to form a strong rule. Boosting is an ensemble technique in which the predictors are not made independently(As in case of bagging), but sequentially. To find weak rule, we apply base learning (ML) algorithms(Decision tree in case of xgboost) with a different distribution. 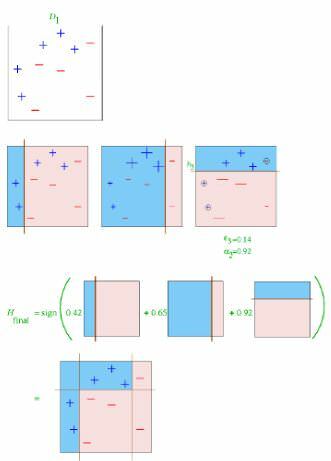 Each time base learning algorithm is applied, it generates a new weak prediction rule. This is an iterative process. After many iterations, the boosting algorithm combines these weak rules into a single strong prediction rule. Step 1: The base learner takes all the distributions and assign equal weight or attention to each observation. Step 2: If there is any prediction error caused by base learning algorithm, then we pay higher attention to the observations having prediction error. Then, we again apply base learning algorithm. Step 3: Iterate Step 2 till the limit of base learning algorithm is reached or higher accuracy is achieved. Finally, it combines the outputs from weak learner and creates a strong learner which eventually improves the prediction power of the model. Boosting pays higher focus on examples which are mis-classiﬁed or have higher errors by preceding weak rules. Let’s try to see how bagging is different from boosting. Now i guess, you must be good with boosing algorithm. Let’s move ahead. Because new predictors are learning from mistakes committed by previous predictors, it takes less time/iterations to reach close to actual predictions. But we have to choose the stopping criteria carefully or it could lead to overfitting on training data. There are many optimization methods, if we use gradient descent as optimization algorithm for finding the minimum of a function then this type of boosting algo is called Gradient Boosting Algorithm. 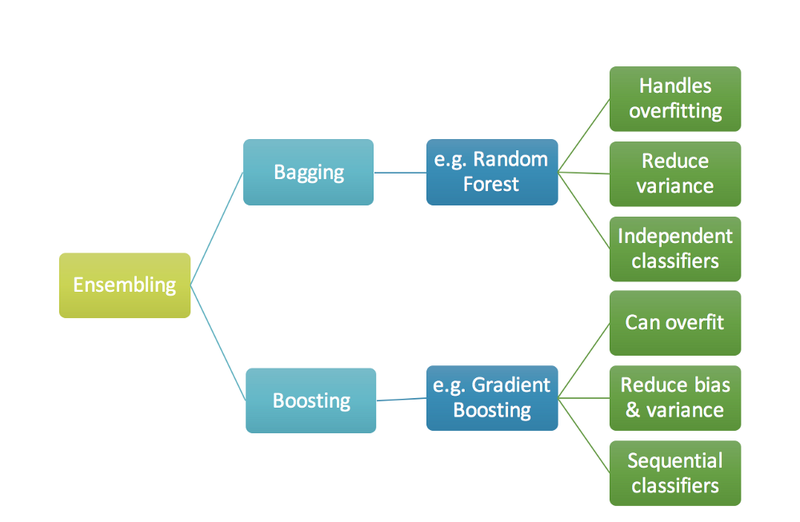 Gradient Boosting algo is one of the example of boosting algorithm. If we use decision tree as a base model for gradient boosting algorithm then we call it as _Gradient boosting decision tree. Or in other words, _Gradient boosting decision tree is also called as Xgboost. We want our predictions, such that our loss function (MSE) is minimum. By using gradient descent algo and updating our predictions based on a learning rate, we can find the values where MSE is minimum. So, we are basically updating the predictions such that the sum of our residuals is close to 0 (or minimum) and predicted values are sufficiently close to actual values.